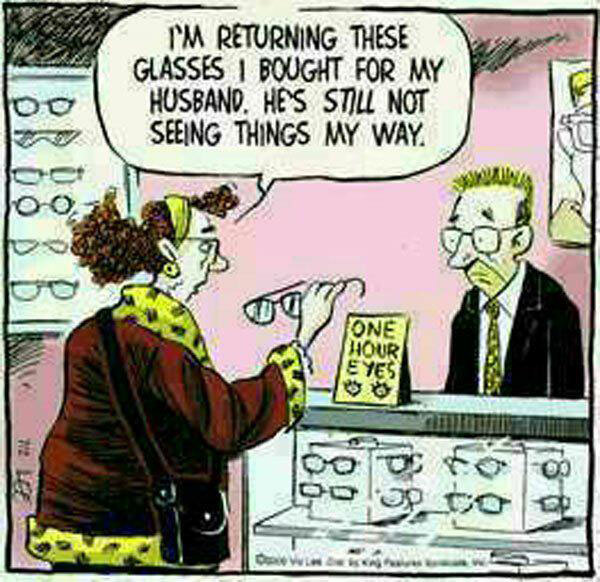 I’m returning these glasses I bought for my husband. He’s still not seeing things my way. Created about 7 yrs, 6 mths ago (September 30, 2011). Updated about 7 yrs, 6 mths ago (October 5, 2011).